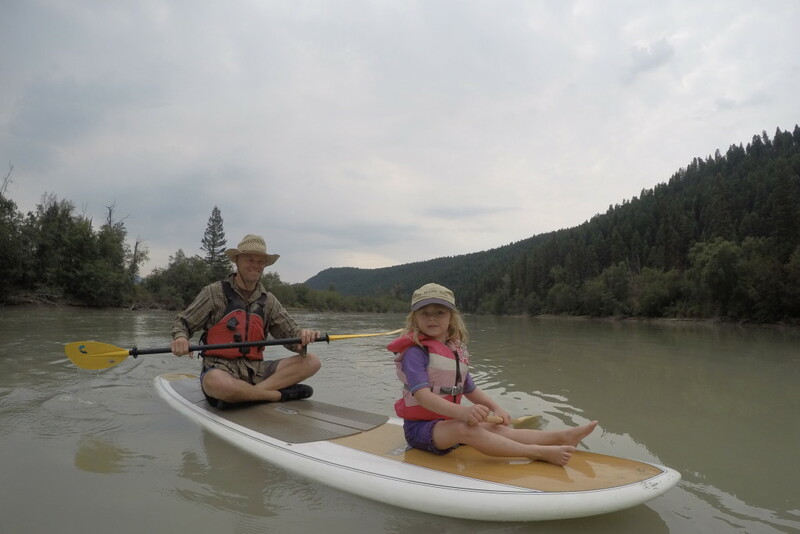 We’ve done several overnight paddling trips as a family over the last few years and are slowly learning how to make them both safe and fun! Ensuring group safety was the first priority but we know that a trip has to be enjoyable for the kids too if it’s worth repeating. 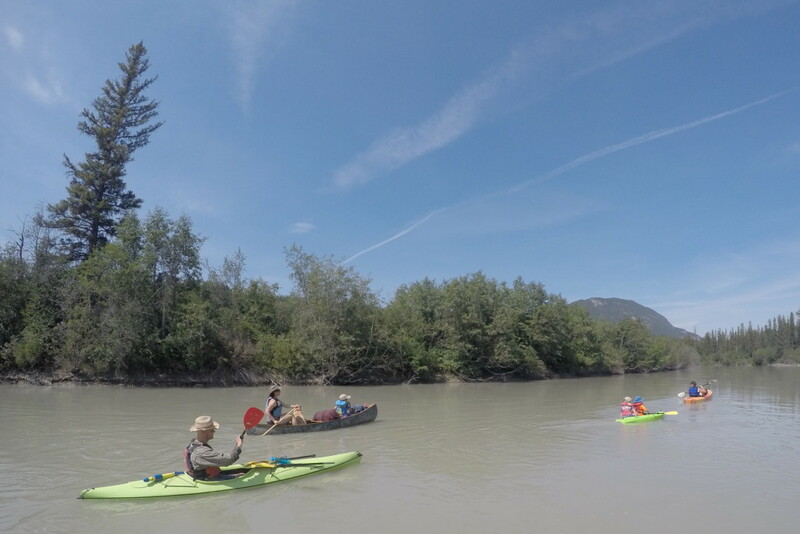 This year we chose to paddle the Columbia River near its origin at Columbia Lake in Canada. 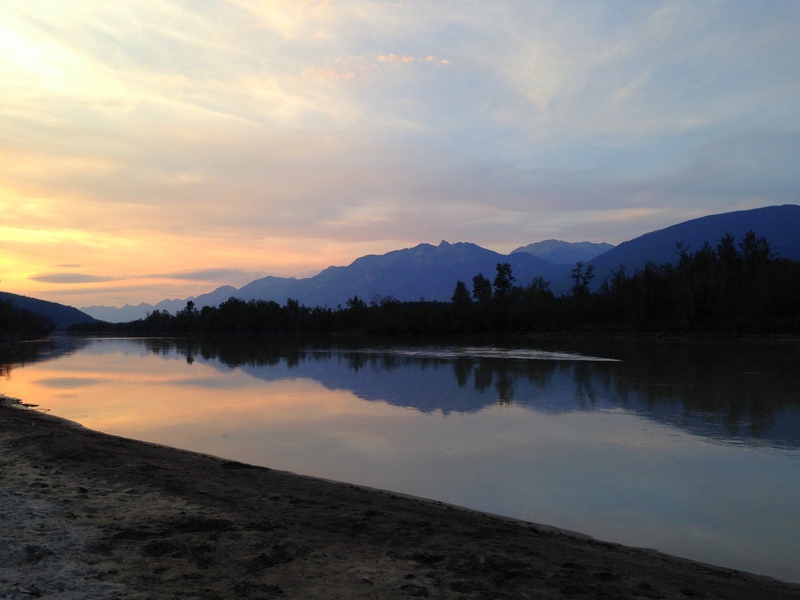 We floated lazily down the river for two days and camped on a beautiful island for the night while the kids played in the mud, swam, and discovered their inner wild child. We had the opportunity this summer to do a multi-day lake circuit instead of our river trip but I couldn’t get over how much work would be involved with the numerous portages we’d have to do. This might be doable with canoes, but we prefer to kayak and I’m a stand up paddleboarder. Add our son’s toy kayak that we brought along, and we had 3 vessels for our one family alone! A lake circuit with portages was not an option for us! 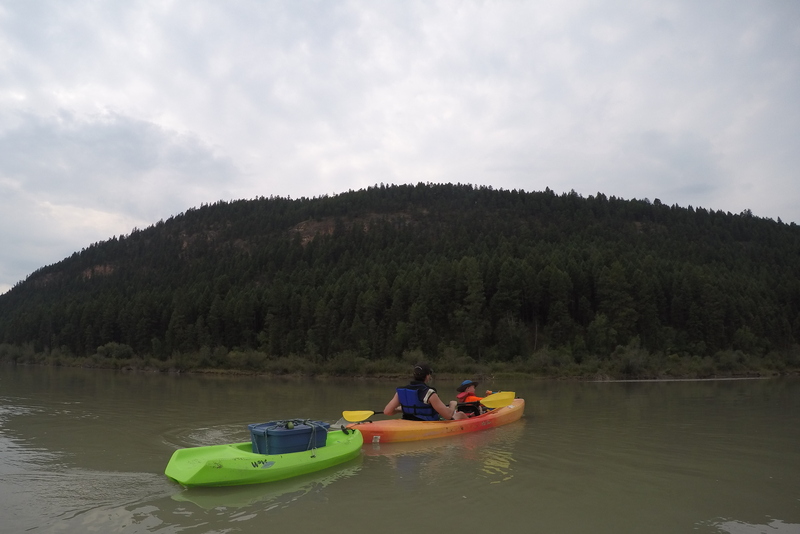 I confess that I’m also a bit lazy when it comes to paddling and I appreciate having a current to help out (even if it is a gentle float trip with river that barely moves). I’m also terrified of head winds being that I choose to do these trips on a stand up paddleboard, and lakes often have strong winds. Meanwhile, rivers are easier to navigate in windy conditions and the current helps a lot when it comes to keeping your boat moving down stream. This year, we chose to paddle the Columbia River for several reasons but one of the biggest factors was warmth and calmness of the water. We wanted the kids to be able to swim and play in the water, we wanted to relax on our trip without worries of hypothermia should somebody fall overboard, and we wanted to enjoy ourselves without constantly thinking of the next set of rapids around the corner. Our float trip was benign in every way with next to no risk at any moment. We didn’t have to tie down gear, we didn’t have to chastise the kids for wiggling too much in the canoe, and we didn’t have to be hyper-strict about river safety every second of the trip. Careful but relaxed is much more fun. What is the ability of the most novice family on the trip? 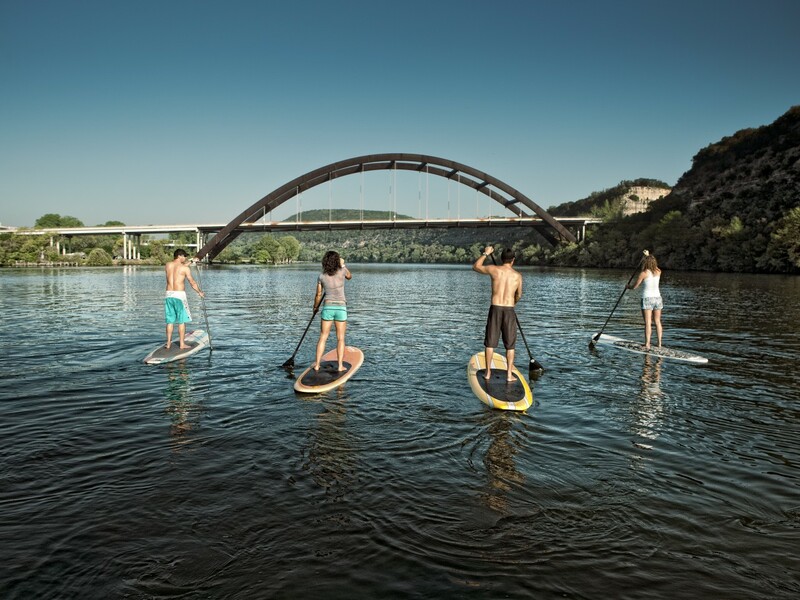 Do you need a permit to paddle your chosen river? Will you be able to camp anywhere on the river or will you have to make a reservation in advance at an official river-side campground? Finally, how easy will the shuttle be to set up and can you leave a vehicle or two safely at both the put in and take out spots? My best advice: Stop often, play in the mud, go for a swim, have a water fight… but don’t take the trip too seriously. We met another group doing the Columbia River at the same time as us and we asked them for some suggestions on where to camp for the night. They proceeded to tell us about “friz dock” – which they felt was the best beach in the area. As it turned out, this was an annual trip for them and the beach they referred to was where they always stopped to play Frisbee. They all looked forward to this beach break and I sensed it was a highlight of their trip each year. We were lucky that the group decided not to actually camp on this beach after their break and grabbed it for our own use. It was paradise indeed and the kids played in the mud until it was time to change into pajamas for bed. We got very lucky on our last trip because in our entire two days of paddling, we only found one beach that would have been large enough, suitable, and pleasant. Therefore I can’t stress enough that you go in to the trip with some idea of where you will camp. Talk to the folks at a local visitor centre, do some searching, read guide books, and ask around. But going in “blind” is definitely dangerous and as I said – we got lucky. If you aren’t entirely sure of where you will spend the night, the two safest things you can do are to get an early start and to have a plan B lined up. Start your paddle early in the day so that you aren’t still searching for a site with darkness approaching. Second, figure out what you will do IF you can’t find a spot and be ready to execute the alternate plan if necessary. For us, we would have had to complete two days of paddling in one day – and the early start would have been imperative! 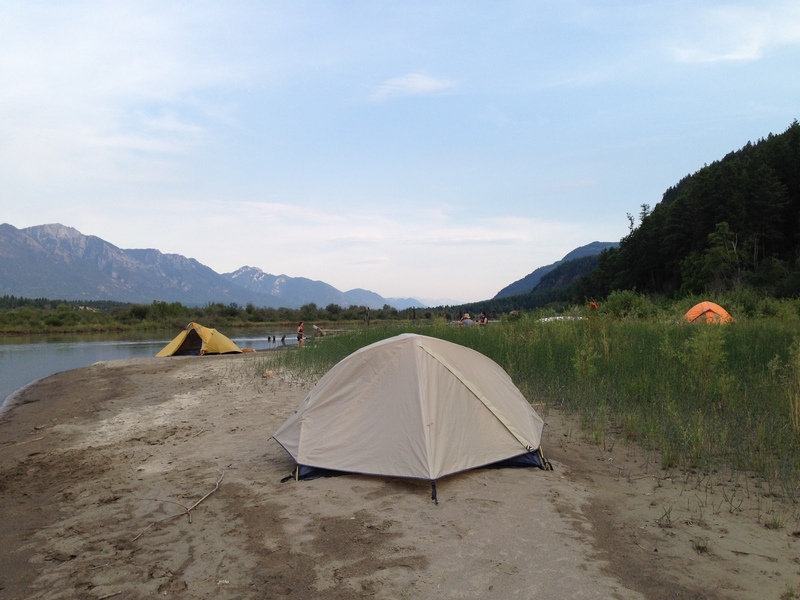 Wilderness camping on a river is very similar to backcountry camping on a trail and the same “no trace” rules apply. For a complete list of these rules, follow this link to The Leave No Trace 7 Principals. In general, nobody is coming down the river after to clean up after you. Carry out what you bring in, and leave your campsite better than you found it. Packing is also similar to a backpacking trip except that you will want to wrap your sleeping bags and mattresses in heavy-duty garbage bags in case water should get into your boat. Dry bags are also recommended for items that cannot get wet (think keys and phones for example,) for your clothing and for your food. Finally, bring a good water filter if you aren’t bringing jugs of drinking water, a small backcountry stove, and a trowel for digging the latrine at camp. I don’t profess to be an expert so please consult these Tips from the American Canoe Association if you are new to paddling, have never done an overnight trip before, or just want to refresh yourself on safety guidelines. When in doubt, taking a lesson before embarking on a big trip is never a bad idea. 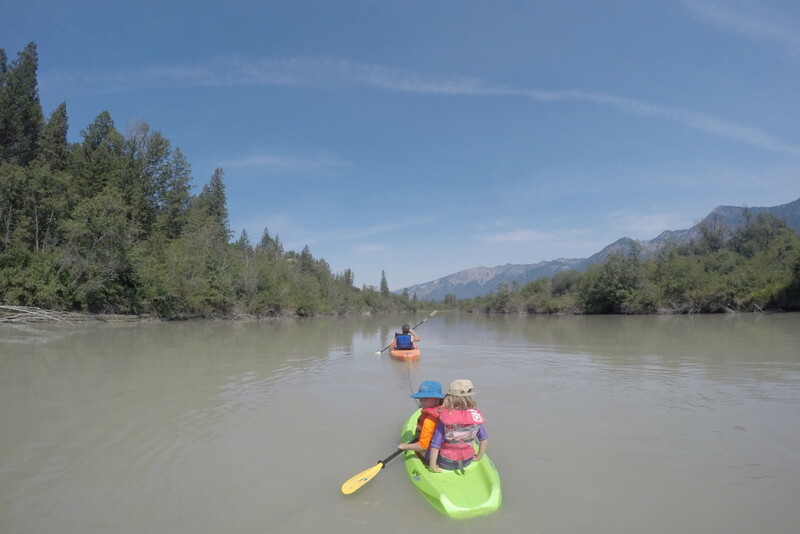 For more information on our specific paddling trip on the Columbia River with put in and take out locations in the Columbia Valley, check out the story that’s published on my personal blog: Paddling and Camping on the Columbia River with Kids. This entry was posted in Destinations, Homepage Featured and tagged Columbia River, River Backcountry, SUP by Tanya Koob. Bookmark the permalink.